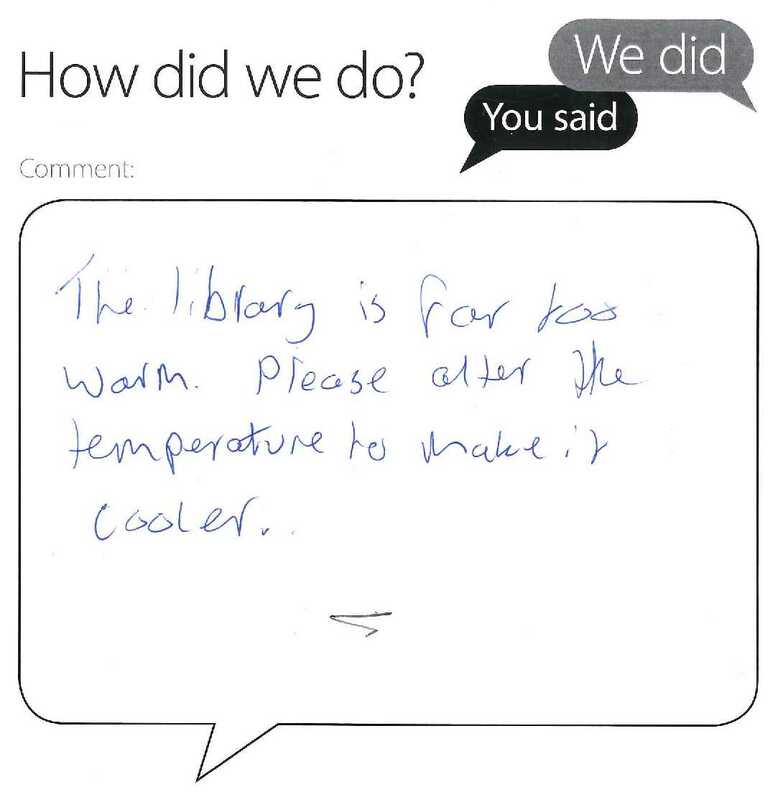 I’m sorry you found the Main Library to be too warm but keeping the temperature ‘just right’ for everyone is a challenge. We sometimes receive feedback about it being too warm and too cold on the same day – depending on where a student is seated and personal comfort levels. While it’s great to have your feedback I would always encourage you to report a problem with the temperature level to staff on duty. That allows us to identify the area of the Library affected, check the temperature readings and ask colleagues in Estates to make adjustments as necessary.